Ice Goddess - 14k Yellow Gold was added to your cart. This icy necklace of 209 Contemporary Nexus Diamonds combines three styles of jewelry settings in one superbly designed piece: shimmering clusters, elegant pendulums, and the Eternity style setting. 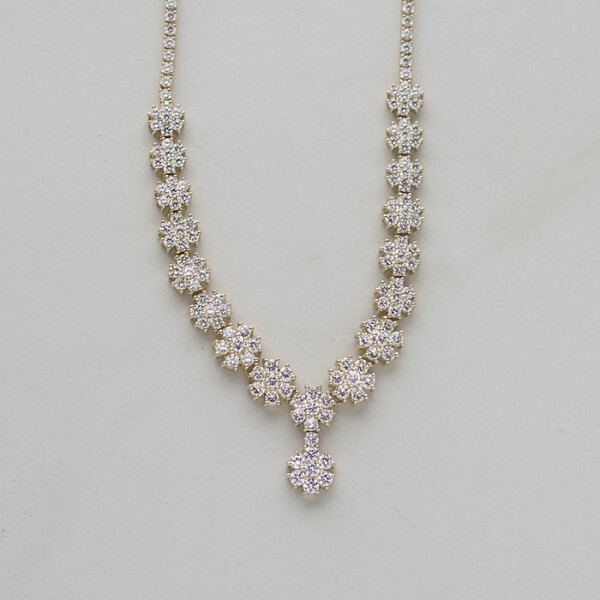 You'll love the way this sparkling 15.74 carat showpiece lights up your look from season to season!